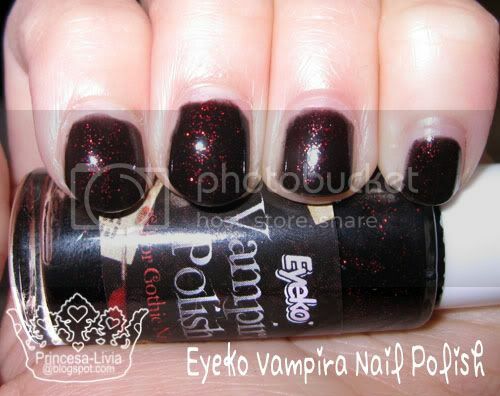 Vampira is a gorgeous black nail polish with red flecks of glitter. Although it has these flecks, the nail polish doesn't feel gritty at all and is very easy to remove with a polish remover - unlike other glitter nail polishes. This is a pretty unique colour in my opinion. I really love it. 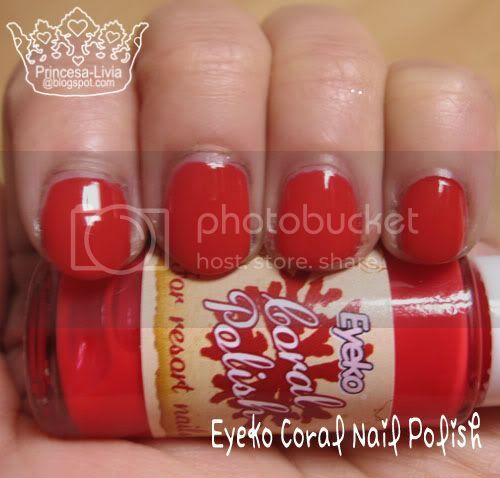 Posh polish is L♥VE. It's a medium taupe-grey colour (kinda mink too?) which I am crazy about this season. Its a very London-esque colour: Kinda gloomy (like the weather), and subdued... yet stylish at the same time. Another thing that was given to me was their Graffiti Eyeliner Pen in the colour Navy Blue. I was skeptical at first when I saw it; I thought it might just be like those other pens that don't apply colour evenly and are very faint and such. But I was terribly wrong. 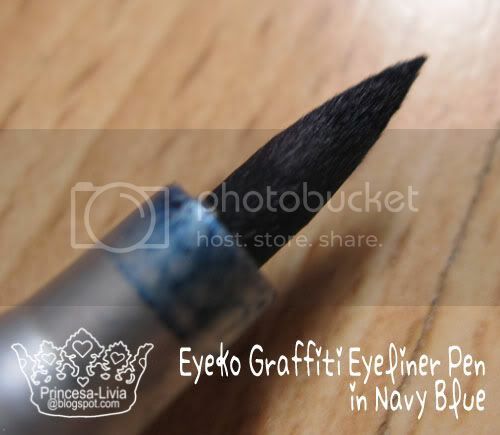 The Eyeko Graffiti Eyeliner Pen is such a wonderful product. The felt tip is so soft, and the slightest touch deposits so much colour. 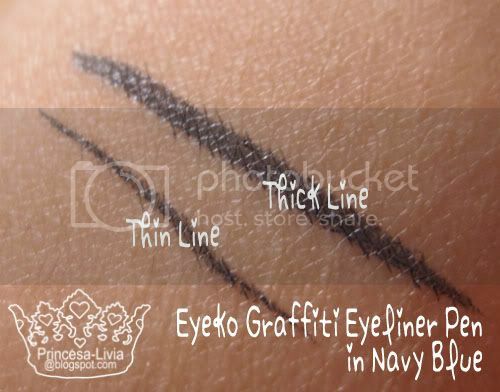 It applies a line perfectly, whether you want a line that is thin or thick. You can purchase these items from http://www.eyeko.com/. I cannot recommend them enough! 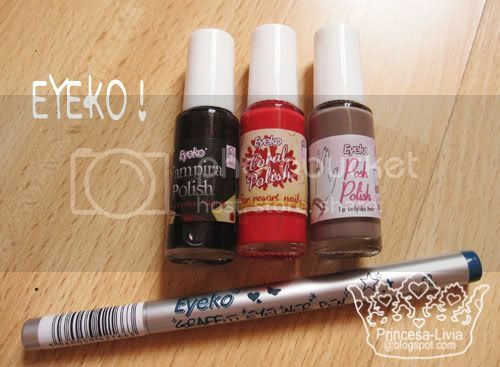 I love Eyeko's nail polish. I've tried Saucy polish and I love it! Bye! Kisses! I LOVE the last color especially! !